A day long ruckus exploring the changing role of the participatory artist within education. With the return of national testing what space is there in a cluttered and fragmented curriculum for art, culture and creativity. The role of the artist in society and in education is under scrutiny like never before. How do we do more for less which has bigger impact? The challenge is set but how do we respond? We invite you to spend the day with a diverse range of practitioners to wrestle with the complex issues surrounding the changing role of the participatory artist within education. We will facilitate workshops, panel discussions and stage acts of creative disruptions to better understand who we are and what we offer within Scotland’s future education system. Shared learning experiences from a recent training programme in which seven artists undertook a four month project which interrogated their practise to develop a series of pilot projects in collaboration with schools. The artists will share their experiences. A panel discussion with creative practitioners currently undertaking a PhD in Scotland. This session will explore the links and impact of research within a practise led profession. A series of provocations by leading creative practitioners working in the field of learning and participation. Group sessions to apply the learning to individual contexts. It is predicted by 2030 global youth unemployment will hit 60%. This is coupled with 47% of jobs being automated. The shift away from mass industry to a culture of freelance employment is unarguable. The world of work is changing unlike anything ever experienced and with these monumental changes comes a new set of challenges for the next generations. A future world full of uncertainty demands learners must be equipped with higher-order creativity skills that, as Education Scotland suggests: will help children and young people not just understand the world, but be sufficiently equipped to influence its shape. The design of curricula and pedagogy can no longer be anchored to the knowledge of the class teacher alone. How can children and young people’s experience of education best prepare them for a future that defies prediction, and for jobs that haven’t been invented yet? Learning and teaching must inspire and develop imagination, innovation, independence and collaboration, curiosity, self-discipline, resilience, risk taking, problem solving and critical thinking. All this can be summarised with one word: creativity. The role of the artist in learning settings has fundamentally shifted from deliverer to strategic collaborator with focus placed on their creative processes and the benefits it offers the education system. Despite their creative skills being recognised and valued the quantity of artists choosing to work in this new role is limited. The need is evident but the skills gap is hindering progress. 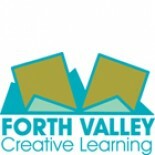 West Lothian Council, Perth & Kinross Council and Falkirk, Clackmannanshire & Stirling Council’s (Forth Valley Creative Learning) have together provided a training programme for artists working in participatory settings. Working in partnership with the creative producing company Hidden Giants, they have provided seven artists a four month programme to support their practise within schools. Through a series of training days and then pilot projects the artists challenged the preconceived notions of what artists contribute to the life of a school. The day is geared towards anyone working in education and learning environments passionate about new approaches to learning and teaching. We imagine interested parties will include: teachers, artists, QIO’s, head teachers, activists, young people, creative practitioners, government, heads of education, arts companies, national companies etc. The project has been funded by the Creative Learning Networks(CLN) in the five local authority areas and the Artworks programme through Creative Scotland and the Paul Hamlyn Foundation. It is directly connected to the implementation of Creative Scotland’s Creative Learning Plan and the work delivered on a daily basis by the CLN across Scotland. After February’s sold out conversation exploring De Bono’s lateral thinking theories we continue our focus on creative problem solving. We are looking forward to welcoming Dr Scott Sherwood who will lead a participative and engaging 2 hour workshop sharing some tools and exercises you can use to consider new thinking about existing issues in school, community or work. This session will introduce design thinking, a rigorous creative process that enables individuals and organisations to identify and articulate the challenges they face, while also enabling them to create feasible and viable solutions. Using design thinking tools and methodologies, individuals and organisations are able to develop empathy for the people they are designing for (i.e. pupils, students, teachers, lecturers, staff etc), challenge their own assumptions and understand their underlying motivations. Dr Scott Sherwood is a widely published academic and has led organisational change initiatives, including the innovation programme in the Technology Strategy Board’s £24 million Future City Demonstrator. This workshops is open to head teachers, teachers, SLA’s, education officers, early year’s educators, lecturers (FE and HE), students, arts development officers, CLD officers, youth workers, community workers etc. This workshop would also be of interest to creative practitioners working in a learning / community context. All welcome. Our first Creative Conversation of 2015 will focus on lateral thinking and creative problem solving. We are very excited to welcome De Bono Instructor Geoffrey Seaman who will lead a 2 hour workshop exploring lateral thinking using some of the tools and exercises De Bono created. The workshop will be participative and engaging, offering the opportunity to consider new thinking about existing issues in school, community, work or at home by using two lateral thinking tools. Edward De Bono is regarded by many to be the leading authority in the world in the field of creative thinking. He originated the term lateral thinking and is a proponent of the teaching of thinking as a subject in schools. Schools from over 20 countries have included De Bono’s thinking tools into their curriculum. This workshop will be delivered by Geoffrey Seaman, a certified De Bono Instructor. When young people step out into the world of work the maxim seems to be ‘work longer hours’. Creative thought and action is the one way to work smarter not harder. Gordon will look at what creativity is? What the barriers are and how to overcome them? How can you improve your creativity and why is it relevant to everyone? By helping people understand the creative process in their mind, Brian Juice’s creativity workshops can help everyone to improve their level of innovation at work and creative problem solving ability as well as understand some of the skills which might help pupils as they move into the world of work. Creativity is not a mystery, it is something we all use in our everyday lives to solve problems. Brain Juice challenges you to face your old habits and unlock your capacity for original thought. Brain Juice was set up by Gordon Brown in 2004 after he decided to change a marketing lecture to a group of lawyers into a business creativity training seminar. They liked the juice he fed their brains so much they asked for some more and at which point he thought, “other people might like this.” He has since delivered talks for the National Creative Learning Network and a number of regional Creative Learning Networks. For the past 25 years Suzanne has been an academic researcher, studying babies innate ability to communicate and connect with other people. In 1993, Suzanne took up an academic post in the UK as a Developmental Psychologist at the University of Dundee and has remained there since, currently holding the post of Honorary Fellow. She is an inspiring and thought-provoking speaker that we can highly recommend hearing. Suzanne has loved what the field of Developmental Psychology has taught her, why it is that a child’s earliest years have such a profound effect on their later years, including their emotional security, their trust in others, their self-confidence, their relationships, their connectivity. Now she wants to help ensure that this knowledge is spread as widely as possible and frequently acts as partner or speaker for a wide range of organisations throughout the UK and abroad including police, educators, health workers, nursery staff, parent groups and children’s theatre groups helping them to better understand the neuroscientific, biological, and psychological evidence concerning the human need for emotional connection, something creativity can be a channel for. Suzanne feels if we overlook emotional connection, then we all pay for it, through the services that governments need to fund such as prisons, mental health programmes, hospitals, fostering arrangements, extra support in schools and other services. Whether the focus is on early years or university, on the arts or on Higher Order Thinking (HOT), creativity has become a focus for education systems across the world. So, why now? What is the impetus for trying to make learning more creative? preparation for the workplace, economic success, life-long learning and even national identity, the most important is self-actualisation. Put simply, all learning is a creative process and if we are genuinely educating “the whole child”, then creativity should be at the heart of that process. He will draw on work by Howard Gardner (“Five Minds for the Future”), David Perkins (Teaching for Understanding”) and Robert Fisher (“Teaching Children to Think”) and will argue that the vision of Curriculum for Excellence is to prepare young people for the unknown and to enable them to apply their learning in new and unfamiliar contexts. Whether it is big “C” or small “c” creativity, the challenge is to infuse the curriculum with creativity…and, in so doing, to empower young people to look beyond examination success and fulfil their potential. central intellectual task in learning. Tapestry is dynamic organisation dedicated to bringing creativity into learning and teaching and supporting educational establishments to work together to maximise the potential of learners in Scotland. It works with all sectors, from early years to universities and has international figures such as Howard Gardner, David Perkins, Jerome Bruner, Reuven Feuerstein, Nigel Osborne, Tony Buzan, Robert Fisher, Peter Mortimore and Dylan Wiliam among its consultants. Brian was a co-founder with Katrina Bowes, who is the driving force behind the Tapestry Partnership. Across the world, increasing attention is being given to developing the creativity of children and young people. In all the developed economies, from Japan to Chile, within Europe and across the US this has become a major preoccupation of educators. But how do you know what creativity looks like, and can you tell if it is being developed? To support their work in devising and developing the Creative Partnerships programme, firstly in England and now increasingly abroad, CCE commissioned extensive research into the definition and measurement of creativity and trialled numerous approaches in schools. In this presentation, Paul Collard will provide a constructive and practical guide to identifying creativity in the classroom to enable teachers and artists to inspire children and young people. Paul has over 25 years experience of working in the arts and is an expert in delivering programmes that use creativity and culture as drivers of social and economic change. He joined the government’s flagship creative learning programme, Creative Partnerships in January 2005 and played a crucial role in clarifying the purpose of Creative Partnerships and streamlining the delivery of the programme in schools. Professor Brian Boyd has worked in the Faculty of Education at the University of Strathclyde for 13 years after a career that saw him hold posts as headteacher, education officer and education adviser. He was a member of the Ministerial Review Group which produced the report ‘A Curriculum for Excellence’ in 2004. Brian is a co-founder of Tapestry, an organisation that promotes leading edge thinking about learning to Scotland.